Life Magazine January 14, 1952. 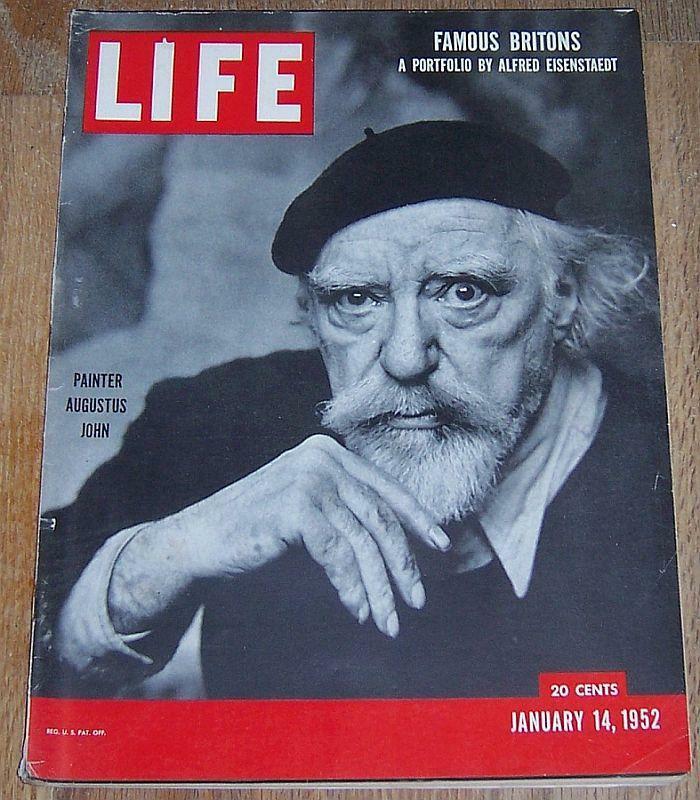 Painter Augustus John on cover. Articles also include A Portfolio of Distinguished Britons by Alfred Eisenstaedt, Snowstorms, Bowling, Death of a Salesman Movie, and more. Filled with great period advertising and Life's Famous photographs. Magazine is in good condition. Wear at edges. Items Similar To "Life Magazine January 14, 1952 Portfolio of Distinguished Britons..."